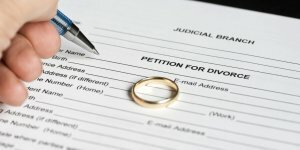 Home Divorces How to start a divorce? How to start a divorce. How to start a divorce should be planned after you have given very careful consideration to your emotional, financial or physical problems. If you are sure that divorce is the best solution, then you might be ready to prepare for your divorce. Divorce does not always follow rule “earlier start, earlier finish”. Before planning how to start a divorce, you should determine the best time to begin. If you begin a divorce when your spouse is not ready, your premature start may significantly delay the whole process. If you and your spouse don’t have much property, no children and no spousal support at issues, you can proceed with an uncontested divorce without regard for timeline. However, if you have any of the following; it would be wise to plan a strategy how to start a divorce in the right time. How to use an attorney as your resource to start a divorce. When considering, how to start a divorce, the first question to answer is “should I see an attorney or start the divorce process myself”. There is a possibility that in your situation it might be more practical to do the divorce without retaining an attorney. We have an article about it in our website. If you are unsure that you understand your rights and obligations an attorney might be a valuable resources in learning how and when how to start a divorce. Be sure to prepare for a consultation in order to make your visit with your attorney will help you gather as much information as possible about the process, and how to protect yourself. Part of planning how to start a divorce, is planning when and how to tell your spouse that you want a divorce. The last thing you want to do is to surprise your spouse by having someone to serve them with divorce papers saying they are being sued. Such news may shock, anger and sadden them into a state where they will not be cooperative. It is usually better to talk openly and honestly about the divorce before filing the first set of documents in order to proceed with an amicable, uncontested divorce. You have to find a good place and good time to talk with your spouse about it. Be nice, polite and most important, patient. That means let them think about the terms of your divorce, let them think about the terms of your proposal regarding child custody, visitation, child support, spousal support and property division. You and your spouse might be on a different emotional timeline, if you pushed too fast, your spouse may not be able to make a decision. If you know your spouse will be hostile when you are planning how to start a divorce. If you anticipate that your divorce will be a “war”, your plan for how to start a divorce should start with gathering and copying bank account statements, tax returns, credit card statements, paycheck stubs, mortgage statements, retirement account statements, life insurance policies, auto insurance policies and so on. It may also be a good idea to find your birth certificate, social security card, passport and other important documents to be sure it is under your control. How to start a divorce paperwork. The first set of documents for a divorce is a summons and petition. You and your spouse cannot take the kids of this marriage from the state of CA without the written consent of the other spouse. Husband and wife cannot cancel or change any life, auto, health and other insurance until the process is over. The spouses cannot encumber, dispose, transfer real and personal properties without written permission except for life necessities. Petition is the factual basis of the divorce with the request that petitioner makes to the court regarding division of property, child custody-visitation, child and spousal support. If you are planning how to start a divorce doing it “in pro per” (without attorney or paralegal supervision), be sure you satisfy residency requirements. You have to include the statistical information such as date of marriage and date of separation as well. For the information regarding the following steps of a divorce, please visit our page Divorce Proceedings.